This article concerns the king of the Kingdom of Judah. For other persons of this name, see Jehoshaphat (disambiguation). King Jehoshaphat (Hebrew: יהושפט, Yehōshāphāṭ; Greek: Ἰωσαφάτ, Iōsaphat; "Name means::YHWH judges") (949 BC-r. 914-889 BC according to Ussher, or 907 BC-r. 872-848 BC according to Thiele) was the fourth king of the Kingdom of Judah since the division of the kingdoms of Israel. Although his name has become a modern proverb ("Jumping Jehoshaphat"), he is one of the least-appreciated of the "right-doing" kings of Judah. However, he would mar his reputation as a reformer by entering into three supremely ill-advised alliances, one of which included what would prove one of the most disastrous marriages in the history of the House of David. Jehoshaphat was the son of Asa by Asa's wife Azubah, and was born in the seventh year of Asa's forty-one-year reign. The Bible does not name Jehoshaphat's wife. He did have seven sons, the eldest of whom was Jehoram, born when he was twenty-five years old, ten years before he began to reign. Jehoshaphat succeeded his father Asa in the fourth year of the reign of King Ahab of Israel. He was thirty-five years old at this time. He would reign for twenty-five years, though for the last four, his son Jehoram would serve as his viceroy. Jehoshaphat started his reform program early on. He began removing high places and Asherah poles from all his domain. Nor was this mere eye-service; he prayed constantly to God and sought Divine counsel in everything. The Chronicler records that God rewarded him greatly, and he had great riches and an even greater reputation. In his third year he sent minor royalty and Levites throughout his kingdom, to teach the word of God in all the cities of his reign. He also spent his time fortifying his border cities and in other ways strengthening his kingdom militarily, so that the Kingdom of Israel could not attack him effectively. He had, of course, grown up living through the wars with Baasha, which had broken out when he was about nine years old. Then in the eighth year of his reign, Jehoshaphat made a major mistake: he entered into an alliance with Ahab. True enough, Ahab was of the House of Omri and thus had nothing to do with Baasha. Nevertheless, Ahab had imported a whole religious system, and that one of the worst in the region, thus going even further than Jeroboam I had gone with his golden calves. Jehoshaphat must have known this, and yet he allied with Ahab anyway. He even had his son Jehoram marry Ahab's daughter Athaliah. He would never live to understand the magnitude of this particular error. Nine years later, he visited Ahab in Samaria, capital of the Northern Kingdom. Ahab took the occasion to persuade Jehoshaphat to join him in an operation against King Benhadad I of Syria, to recapture the city of Ramoth-gilead. Ahab had recruited four hundred false prophets to tell Jehoshaphat that the battle would go well, but Jehoshaphat insisted on hearing from the prophet Micah, called Michaiah in the two accounts of this battle. Michaiah insisted that the battle would not go well. Ahab had Michaiah arrested, put in prison, and fed bread and water "until I (Ahab) shall return in peace." Michaiah, undeterred, said that if Ahab returned in peace, then he, Michaiah, was no prophet of God. Against his better judgment, Jehoshaphat went to the battle. He left his son Jehoram behind as vice-regent in his absence. Ahab disguised himself and asked Jehoshaphat to wear the royal robes and act, essentially, as Ahab's decoy. Jehoshaphat agreed, and that decision nearly cost him his life. King Benhadad personally commanded his troops, and told them to seek after the king of Israel and no one else. The Syrian troops saw Jehoshaphat, mistook him for Ahab, and pressed upon him. Jehoshaphat cried out to God, and God granted him deliverance, in that the Syrians realized their mistake and slackened their pressure long enough for Jehoshaphat to escape. Ahab, however, did not escape; an archer whose name is unrecorded shot Ahab and wounded him "between the joints of the harness." Ahab was carried off the battlefield and later died of his wound. When Jehoshaphat returned to Jerusalem, the prophet Jehu rebuked him soundly for assisting such a wicked king as Ahab, but also praised him for following the One True God. Jehoshaphat took the hint. He redoubled his reform efforts, this time establishing a royal judiciary and charging his judges strictly to judge wisely and fairly and according to Godly principle. He made Amariah, the chief priest at the time, a chief justice for religious matters, and appointed one Zebadiah son of Ishmael, a leading prince of Judah, as a chief justice for royal matters. A Levite then received a prophetic inspiration and spoke aloud, encouraging Jehoshaphat to meet the invaders with his army—and simply stand and watch. Jehoshaphat took this advice without question. He met the enemy at Tekoa, with music players accompanying the army and encouraging everyone present to sing hymns to God as they marched. Near the end of his active reign, Jehoshaphat entered into another ill-considered alliance, with Ahab's son Ahaziah. This must have happened in the seventeenth year of Jehoshaphat's reign, because Ahaziah did not reign for more than a year after his father died. The two kings built a fleet of treasure ships at Ezion-geber and intended to send them to Ophir for a cargo of gold. (The Chronicler gives the destination as Tarshish, but the author of 1 and 2 Kings says that the ships were from Tarshish and bound for Ophir.) A prophet named Eliezer declared against the venture because of the unworthy alliance. Those ships never set sail; they were immediately wrecked. Ahaziah suggested building another fleet, but this second time, Jehoshaphat refused. Ahaziah died and left no issue, so his brother Jehoram succeeded him in the eighteenth year of Jehoshaphat's reign. A year later, this Jehoram asked for aid against the Moabites, who before had revolted against his late brother Ahaziah. Jehoshaphat agreed, and prevailed upon his vassal, the king of Edom, to join what now became a three-nation coalition. This coalition marched for seven days, and then ran out of water. Jehoram despaired of the outcome, but Jehoshaphat encouraged him to find a true prophet of God before giving up entirely. The prophet Elisha (Elijah's successor) told the two kings that only for the sake of Jehoshaphat was God pleased to intervene—and then proceeded to call upon God to provide a miraculous supply of water. Toward the end of his reign, Jehoshaphat settled his estates. He named his son Jehoram as viceroy and specifically as co-rex, and for this reason the first year-of-reign of Jehoram of Judah (at least, according to Ussher) is also the twenty-second year-of-reign of Jehoshaphat. (Thiele assumes that the viceroyship and lone reign ran consecutively rather than concurrently.) He also bequeathed great riches in jewels, silver, gold, and even city governorships on Jehoram's six brothers. Three years later (or five according to Thiele), Jehoshaphat died, and Jehoram proceeded to kill all his brothers and several other minor princes in order to strengthen his own position. Both Ussher and Thiele synchronize Jehoshaphat's reign with those of Ahab and his two sons Ahaziah and Jehoram of Israel. However, the chronological placement in relation to the Birth of Jesus Christ is forty-five years in dispute. With regard to the reign of Jehoshaphat, the chief question in dispute is whether Ahab (who had been on the throne for nearly four years when Jehoshaphat began to reign) made part of a twelve-member anti-Assyrian coalition in 853 BC. Neither the Chronicler nor the author of Kings mentions any such coalition nor the part in it played by any king of Israel or of Judah. ↑ 2.0 2.1 2.2 Jones, Floyd N., The Chronology of the New Testament, Green Forest, AR: Master Books, 2003, Chart 5. ↑ 7.0 7.1 7.2 7.3 7.4 7.5 7.6 7.7 7.8 Driscoll, James F. "Entry for Jehoshaphat." The Catholic Encyclopedia, vol. VIII. New York. Robert Appleton Co., 1910. Retrieved June 8, 2007 from New Advent. ↑ 8.0 8.1 Authors unknown. "Entry for Jehoshaphat." The Columbia Encyclopedia, 6th ed. Columbia University Press, 2005. Retrieved June 19, 2007. ↑ 10.00 10.01 10.02 10.03 10.04 10.05 10.06 10.07 10.08 10.09 10.10 Authors unknown. "King Jehoshaphat - Biography." 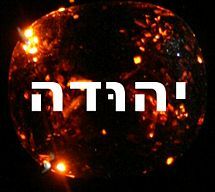 The Kings of Israel, hosted at http://www.geocities.com/ Retrieved June 19, 2007. ↑ 11.0 11.1 11.2 11.3 11.4 11.5 Authors unknown. "Entry for Jehoshaphat." WebBible Encyclopedia. Retrieved June 19, 2007. ↑ Meyer, Joyce. "Jehoshaphat's Vital Need." The Battle Belongs to the Lord. 2002. Retrieved June 19, 2007, from <http://www.enotalone.com/>. ↑ MacPhail, Bryn, The Rev. "The Prayer of Jehoshaphat." August 1, 2004. Retrieved June 19, 2007. ↑ Authors unknown. "Entry for Berachah." WebBible Encyclopedia. Retrieved June 19, 2007. This page was last modified on 12 November 2013, at 18:20.